A new technology that could save the sight of people at risk of developing age-related blindness could be available within the next five years as trials begin in Australia. 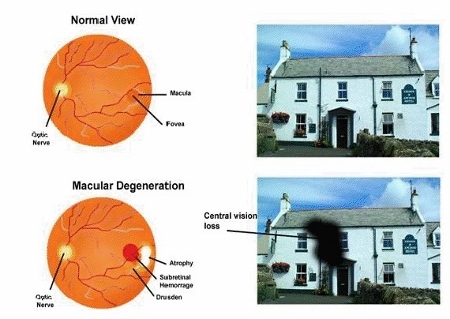 In the UK hundreds of thousands of people are registered as visually impaired due to age-related macular degeneration (AMD), with many going completely blind in the advanced stage of the condition, which is often too late for effective treatment. Now researchers from the Centre for Eye Research Australia (CERA) in Melbourne have developed a nanosecond laser, which early tests show can help to arrest the development of AMD before it threatens vision. The 2RT laser was created by Ellex Medical Lasers and emits a tiny pulse of energy into the back of the eye to remove the deposits that build up with age and contribute to AMD. It is hoped it will provide a solution for treating areas of the eye that were once considered too delicate to operate on. Researchers are now seeking volunteers in Melbourne and Sydney with early-stage AMD for the next phase of the clinical trial. Trials will then commence at sites outside Australia, including the UK, in 2013. The trial is being funded by the National Health and Medical Research Council (NHMRC) in partnership with Bupa Health Foundation.